Oriented Games has just launched Top Models, a fashion-based mobile app for the iPhone, iPad touch and iPod. In Top Models, players start at a talent agency, where they take a pretty virtual model through makeovers, photo shoots, interviews and fashion shows, all to get he to the top spot in the industry! 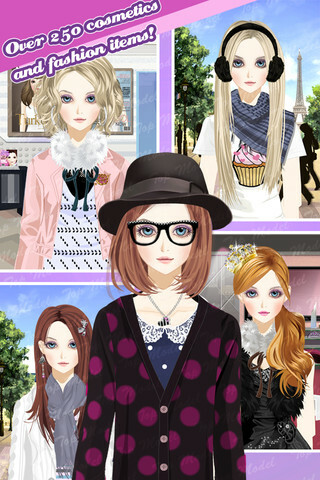 It’s the perfect game for girls who want to live the life of a fashion model! Top Models is free to download and play, with more items unlocked as players progress and go shopping! Diamonds are a Star Girl’s best friend this Thanksgiving! Celebrity life sim ‘Star Girl’ launched on iOS with fabulous limited-time promos!